We understand how busy Regional Center Operators are and that it’s difficult to find the time to implement a system to replace their spreadsheets and linked files. 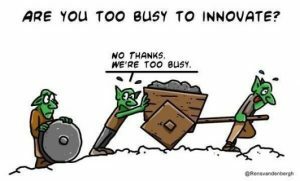 What happens if they don’t make the time to innovate? How much less time will they have when the new compliance requirements are made law? It will never be an ideal time to implement a new system, but it becomes progressively more difficult the longer it’s put off. The growth of the industry had outpaced the technology available to track critical details until ISCoA created EB5 Suite. Most sub-industries have to wait until they reach critical mass for a technology provider to make the investment into a market specific product and now that EB5 has reached the 10,000 visa threshold it is time for there to be a specific toolset. Traditional CRMs do a great job of tracking leads through a sales process but they aren’t wired to understand the complex relationship between agents, attorneys and projects. It takes a deliberate effort to build a platform that can handle the workflow, tie together the relationships and track the documents for EB5 investments. Until recently the oversite for EB5 was limited but now that several high profile fraud cases have put the program in the crosshairs of regulators, who will be looking for evidence that the program is providing secure storage of documents, the ability to track and report on important elements and oversight of funds. Given the possibility that regulators could “drop in” for a look at the books, operators should be ready with at least the basic documentation and proof that documents are securely stored. We’ve all heard this expression and it refers to the quality and completeness of what you put into any system. Technology is not a magic bullet; it won’t cure bad habits or fix sloppy data entry – what it will do is make those things obvious by running reports that make anomalies obvious. Like a report that shows all investors birthdates where because of a data entry error an investor shows up as 2 years old or even 200 years old. Fixing errors when they are presented like that makes it much easier. Change happens in every industry and EB5 is no different. Until the visa cap was reached there were a small number of centers making the rules as they blazed new paths. Now that the number of centers has passed 800 there needs to be an expectation of a set of best practices that govern how business will be run, tracked and reported and with that comes the need for a technology solution. The EB5 market sets the stage for many other vehicles to work with investors. The latest consideration is the new crowdfunding phenomenon and there are many possibilities for investors coming out of EB5 projects where technology can be an enabler. We welcome conversations about how technology can help you. To order EB5 Suite call 844-TECH-EB5 (844-832-4325), or visit http://iscoa.com/eb5-suite/ for more info, pricing and videos.